FAYETTEVILLE, Ark. – MAY 2, 2016 – Northwest Arkansas marks a decade of LGBT Pride June 16th – 19th as the region’s LGBT and ally communities gather for the annual Northwest Arkansas Pride celebration. The 2016 NWA Pride lineup of events in Benton and Washington counties includes everything from the traditional Pride parade down Dickson Street, family festival, interfaith gathering, the legendary White Party and a special evening with “RuPaul’s Drag Race Season 7” star Trixie Mattel. In the ten years since a group of LGBT advocates marched down Dickson Street for the first official Pride parade, NWA Pride has grown to be the largest Pride event in Arkansas and a regional draw. The celebration raises funds for free services and resources provided by the Northwest Arkansas Center for Equality, a nonprofit grassroots organization serving the growing LGBT community in Benton and Washington counties. Local business and community groups are encouraged to show support of the local LGBT community by participating in the Pride parade. 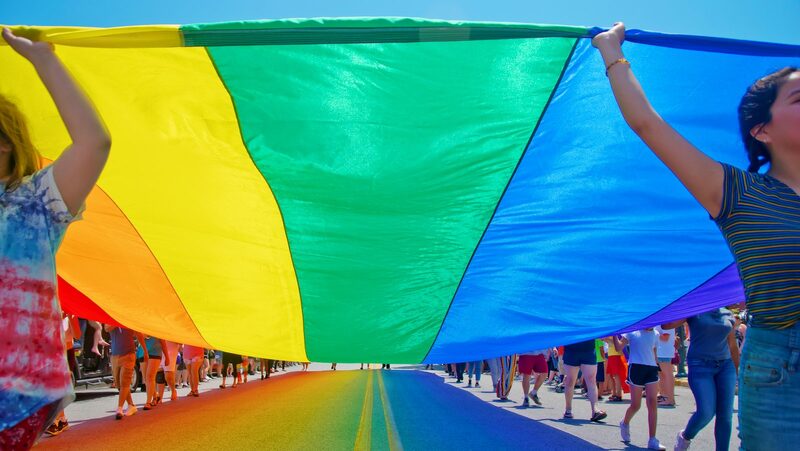 New this year, individuals and businesses can purchase a rainbow Pride flag at www.nwapride.org for their own use or donate one to be distributed to area businesses to show Northwest Arkansas is a welcoming community. NWA Center for Equality hosts NWA Pride and depends on volunteers, donors and corporate sponsors to keep events free or at low cost to local residents and tourists. Current sponsors include presenting sponsor Walmart; platinum sponsors Eventures and the Fayetteville Advertising and Promotion Commission; silver sponsor IDK? Cafe and bronze sponsor Coldwell Banker – Mayer Team. Businesses can support NWA Pride as a sponsor, parade participant or supporter at www.nwapride.org or by emailing info@nwaequality.org. In 2006, Northwest Arkansas saw its first Pride parade roll down Dickson Street. Prior to that parade, groups of local citizens organized informal celebrations to unite the LGBT community and promote acceptance. NWA Pride, Inc. was founded in 2007 by Ken Boyle, Joney Harper and Norman Hadley to promote GLBTI events in the Northwest Arkansas and plan what became an annual Pride Parade and Rally in Fayetteville. In 2007, the parade attracted 157 participants and 200 spectators. That vision grew to what is now a multi-day festival of events and the largest Pride celebrations in Arkansas presented by NWA Center for Equality.